You are reading about View Source 2015.Check out this year's conference! 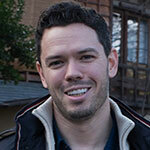 View Source is a conference for front-end web developers. The goal of this event is to provide an in-depth, practical look at current and on-the-horizon technologies, with plenty of opportunities for conversation. At View Source, we share best practices for improving how websites are built across platforms and devices, with technical talks exposing these best practices with practical development techniques. By exploring what is and is not working on the web of today, we can view the source of the modern web and pave the way for the web of tomorrow. Our first event, View Source 2015, was held in Portland, Oregon, November 2nd through the 4th at the Gerding Theater at the Armory. More than 400 front-end developers, designers and industry leaders came together to discuss the web of today and explore the possibilities of the web of tomorrow. You can revisit the sessions from View Source 2015 (or discover it for the first time) below. Join us for the next View Source conference! I will talk about the web today. Drawing on personal experience, a study of the industry, and an awful lot of time spent reading standards documents, I will talk about what makes a person a web person. 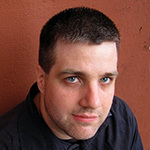 Paul Ford is a writer, programmer, and co-founder of Postlight, a 35-person New York City software agency that creates Internet platforms and designs and builds web and mobile products. He has in the past been an editor and archivist at Harper’s Magazine, an essayist and novelist, and a radio commentator, and is most often found building content management systems. 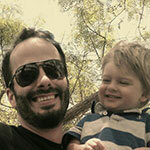 He writes regularly for Medium’s The Message and has a column in The New Republic about databases, called Big Data. In June 2015 he wrote an entire issue of Bloomberg Businessweek to explain “What Is Code?” In addition to managing Postlight, he is writing a book about web pages for the publisher FSG, to be published in 2016. In an ideal scenario, when you’re going to convert a non-responsive site into a responsive one, you start from scratch and do everything right and perfectly from the beginning. But in reality, starting from scratch is simply not practical or possible for many (or even most) projects. So what can we do to overcome some of the most common obstacles and still get to that elusive, mobile-first, responsive site? In this talk, I’ll go behind the scenes through the nitty-gritty of a real world responsive retrofitting project, and provide useful tips that can be put in practice by other teams facing similar challenges. 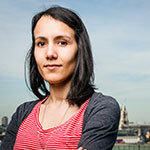 Inayaili de León Persson is Lead Web Designer at Canonical — the company behind Ubuntu — where she focuses on establishing and evangelising the brands’ visual direction online. Through her blog Web Designer Notebook and articles for sites like 24 Ways and Smashing Magazine, she has established herself as an advocate of clean, semantic HTML and CSS. Inayaili is a member of .net Magazine and Smashing Magazine’s Expert Panel, and the author of Pro CSS for High Traffic Websites (Apress, 2011), a book that explores the challenges of working in large teams on websites that receive considerable traffic. She’s Panamanian Portuguese, born in the USSR, and has been living in London since 2008 — her favourite city in the world. She loves cats and naps. Making our sites easier to use for users who face vision or mobility challenges makes them easier for everyone to use. From larger hit areas to clear indications of state, we’ll cover a few simple things we can start and stop doing with CSS to make websites faster to navigate with a keyboard, easier to use with a coarse pointer, and usable even without visual formatting. With the release of npm 3.0, it's never been a better time to consider using npm scripts for automated front-end workflows. We will take a look at security related bad practices for using common JS template libraries, and explore solutions. We will provide a deep dive into why this solution works. Learn more about HTML5 parsing, various attacks, and how to use our open sourced solution to prevent them. 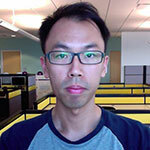 Albert Yu is a Security Engineer at Yahoo. PhD in cryptographic protocol. Experienced web pentester. Now focused on building usable solutions for attacks I know about. React has popularized the notion of deferred rendering via a “Virtual DOM” despite the concept being universally ridiculed shortly after React’s announcement. Deferred rendering is not a new concept, it wasn’t born out of Facebook - it is an extension of established practices tailored to the web. Sometimes it’s useful to take a step (or 20) to the side, solve a new problem, and see how it affects your perspective when you return to daily life. In this session we’ll learn how to build a particle system from scratch, render it to HTML5 canvas, and then circle around and link the concepts back to modern web application development. SVG is great and we know it's capable of so many things that can help improve our workflows and deliverables. In this talk, we will introduce what's possible in SVG, what tools we have at hand to help us work with and integrate SVGs into our workflows, and show how and why SVG to use SVG in production today. 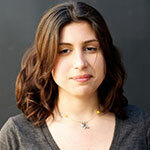 Sara is a freelance front-end web developer, writer and speaker from Lebanon. 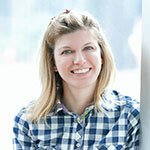 She is the author of the Codrops CSS Reference and has co-authored the Smashing Book 5. 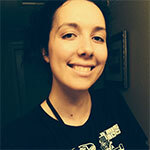 Sara gives workshops on and writes a lot about CSS and SVG. 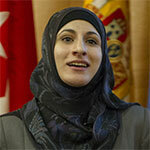 You can find all of her articles on her blog (sarasoueidan.com) and follow her on Twitter @SaraSoueidan. We want to be good at what we do, but the web keeps getting more complex. When we try to stretch and understand it all, we inevitably fall short. We languish in imposter syndrome and doubt. But, slowly, we’re realizing the power in being an expert generalist. Life for virtuoso generalists is challenging, though. What are our technical touchstones in such a vast sea? And how can we get things done while also satisfying our needs for mastery and accomplishment? 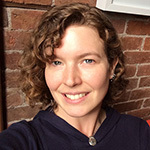 Lyza Danger Gardner is a developer and human, co-founder and CTO of Cloud Four. A 20-year veteran of the web, she is a generalist with an abiding commitment to making the web work everywhere. Lyza is a seasoned and spirited speaker, and is a writer for A List Apart, O’Reilly Publishing, net Magazine and others. Let’s use the web audio api to learn about the basics of signal processing and how to brain perceives sound. 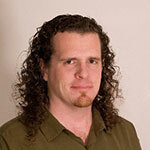 Myles Borins is a developer, musician, artist, and inventor He works at IBM contributing to the node.js project among other open source initiatives. 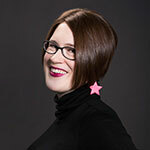 Rachel Nabors is a web animation expert, an award-winning cartoonist, and invited expert at the W3C. She travels the world, speaking and training, and helping teams use animation right in their design systems and documentation. When not biking around her home city of Portland, she curates WebAnimationWeekly.com. You can catch her as @rachelnabors on Twitter and at rachelnabors.com. The MozVR team shares new tools and techniques from the bleeding edge of the immersive web. What is WebVR? Why should we care? What will we do with it? What can we build today? By the end of this session, attendees will have the know how to build and publish their own VR experiences, so they can start helping create the answers. Josh Carpenter leads the the virtual reality initiative at Mozilla, focusing on bringing high performance virtual reality to the open web. He has worked previously in architectural visualization, building automation, and motion graphics, continually exploring the intersection of digital experiences and the built environment. 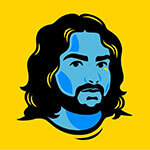 Most recently he was UX Lead for Firefox OS. All around us, sensor-enabled ‘things’ and beacons are beginning to come online, reaching out to connect and exchange information – precursors to a much larger and more complex framework that most consider the ultimate promise of the IoT. Connecting, interacting, sharing, storing, and over time perhaps learning and predicting based on our habits, behaviors, location, preferences, purchases, and more. This session will explore what it is today, some possible directions on where it can go and what it might ultimately look like, major questions that this new framework raises, the role of wearable tech, and the technology gaps pending that must be resolved to achieve a cohesive, secure, scalable, and beneficial network of ‘things’. 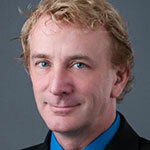 Tom Wesselman is Director, Web Platform and APIs, at Plantronics. His focus is connecting the capabilities of Plantronics products to the world around them. The team is developing a set of web services and APIs to enable applications to access the capabilities of Plantronics’ wearable technology. The next step is to work with partners and developers to integrate those capabilities into compelling applications. The web has many unique and amazing attributes - low friction, reach, discoverability - but it has also suffered from poor reliability, low engagement, and in general a bad user experience of “apps” built on the web. This doesn’t need to be. With new capabilities like Service worker and push notification, and careful design of your web applications, killer web experiences are possible. It’s a new world. Let’s take a look at how it fits together. The Web of 2020 will be a very different Web. People who predict the future are often spectacularly wrong so I’m not going to try and do that. 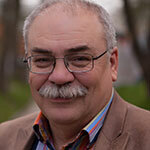 I do, however, want to identify a number key ideas that I think are fundamentally shaping the Web. As leader of the platform engineering team for Mozilla, David is responsible for the development and delivery of the core underlying technology platform for our products, including Firefox and Firefox OS. 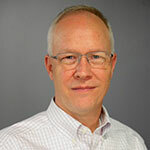 In the past he has held a variety of roles leading product engineering, marketing, sales enablement and technology licensing businesses at Bell Laboratories, Sun Microsytems and Nokia. He was at Bell Labs during the formative years of Unix, working on signal processing and computer graphics components for running the long distance network and, after divestiture, exploring new business opportunities for AT&T. At Sun he managed product teams responsible for key components of Solaris and Sun’s enterprise Internet software stack, including as part of the Sun/Netscape alliance, as well as for the Java platform in embedded and desktop systems. In the CTO unit at Nokia David’s team prototyped emerging hardware and software technologies to accelerate delivery of differentiated mobile computing products. Throughout his career he has been motivated by building Internet and computing technology solutions for real-world problems that matter to people. David grew up in Nashville, Tennessee, and holds Bachelor of Science and Master of Engineering degrees in Electrical Engineering from the University of Tennessee. 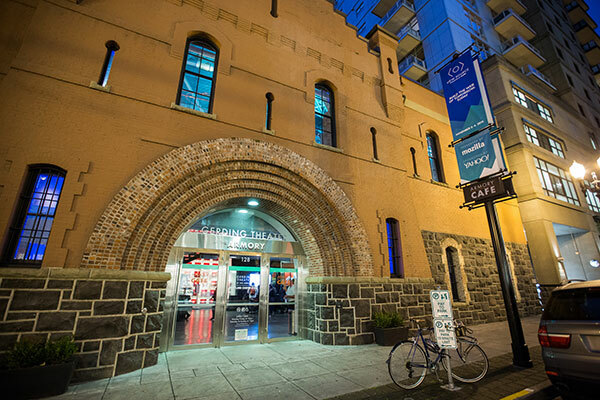 View Source 2015 was held at the historic Gerding Theater at the Armory in Portland’s revitalized Pearl/River District. Widely noted as the “crown jewel” of the Brewery Blocks redevelopment, the newly-renovated Armory has been recognized as one of the world’s greenest buildings.